As the tornado we call the 2016 election cycle inches closer to its climactic conclusion, it's becoming increasingly difficult to make any sense of what is actually going on. 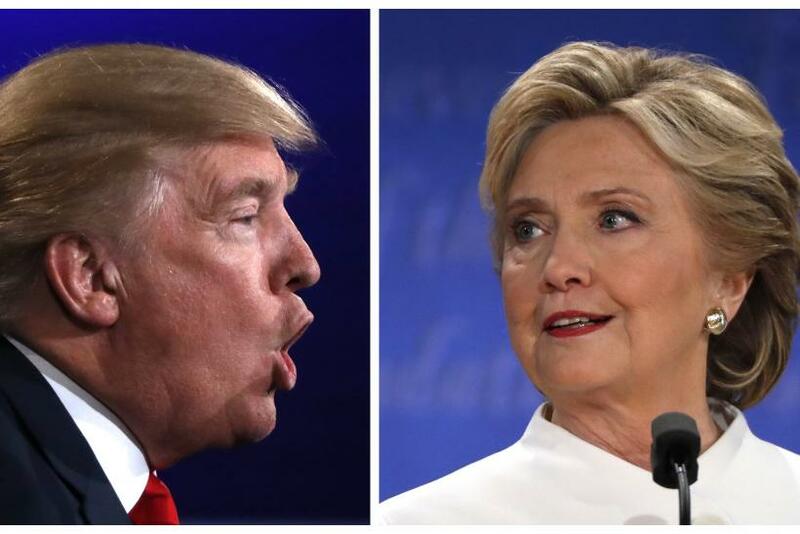 As of Wednesday, national polling suggested Republican presidential nominee Donald Trump has cut into the lead of Democratic candidate Hillary Clinton. Some state polls, meanwhile, have suggested Clinton's firewall of blue states remains intact. Amid such mixed signals, supporters for either candidate could work themselves into panic-mode just six days out from decision day. With the frenzy in full swing, International Business Times called this week the managing editor at "Sabato's Crystal Ball," the University of Virginia Center for Politics' non-partisan campaign newsletter that predicts election results. Kyle Kondik tried to help make sense of the election and the last-minute push from the candidates to reach the 270 electoral votes needed to win the White House. IBT: What’s the thing you’re watching, in the last week, that you think will be telling? KK: I think the early vote is interesting in a number of states, particularly the states that provide a detailed accounting of the early vote by various demographics. It’s going to be of limited use because partisans can spin the numbers one way or the other. There’s no real way to tell who’s right, but that’s an interesting thing to follow. I’ve mentioned the ad spending and interestingly enough, the Clinton campaign did just put some money into Colorado, Virginia, Michigan, New Mexico, Wisconsin – and I think you can read that two different ways. The positive way to read that for Clinton is that they just raised $10 million online, they have a huge amount of cash on-hand and maybe they’re just being safe as opposed to sorry. The negative way to read it is to say they’re panicking and they’re worried about Trump potentially pulling upsets in those states, all of which have shown consistent Clinton leads in almost all of the polling that we have. I think the travel schedule for the candidates is interesting. Trump has being going to some of these traditional blue states like Michigan and Wisconsin. He was in New Mexico. Clinton is spending a lot of time in Ohio, she was there on Monday, she’s going to be back on Friday. [And] Florida... she’s going to Arizona. The Clinton travel schedule is aggressive in the sense that she’s visiting states that are not necessarily crucial to her path to 270 electoral votes. But her campaign is now spending money in states that are must-win states for Clinton. Kind of mixed signals there. And, you know, the polls are worth tracking to see movement. Some polls have demonstrated movement to Trump, like some of the national tracking polls. Other state level polls seem to be pretty stable for Clinton. Some of them came out [Tuesday] in places like Michigan, Pennsylvania and Virginia. So, you know, there are a lot mixed signals out there. It feels to me like the race is getting closer, but I just don’t know how much of that is real. IBT: You said the early vote can be twisted by partisans one way or the other. Is there one particular thing you watch that gives you an indication of which way things are trending? KK: The one state where the early vote is really helpful is Nevada. We get fairly detailed information about it. Jon Ralston, a very shrewd Nevada analyst, does a great job of breaking that down. And he is interpreting it as pretty positive for the Democrats and I’m sort of inclined to agree with his assessment. Some other things that aren’t so positive for the Democrats: It seems to be that black turnout may not be at 2008, 2012 levels in states like North Carolina and Florida, which I think is important for Clinton. On the other hand it seems to be that Hispanic turnout is pretty decent in Florida, which could maybe help make up for lost African-American votes if those voters are going to be voting Democratic. Probably not voting Democratic at African-American levels, but the Hispanic vote should tilt toward Clinton pretty significantly in Florida by 20 points or more. Additionally, Clinton’s coalition may look a little different than Obama's. Maybe she’s a little less reliant on African-American voters because she’s going to do better amongst college-educated white voters and better in some of the big suburban areas of Florida, North Carolina and other states compared to Obama. IBT: You said it seems like to you the race is getting closer. Two follow-up questions to that: What would definitely make you think that the race is getting closer and what’s the definition of closer? KK: I don’t think the race is a 50-50 tossup. But I also am increasingly less confident Clinton is up by more than Obama’s 2012 margin, which was 4 points. Getting closer means Clinton is probably still leading but maybe not by as much as we thought a week or two ago. IBT: If you were on either side, a Trump supporter or a Clinton supporter, which states would be the ones you are watching? So, if you’re a Clinton supporter, which state is going to set off the panic button and, if you’re a Trump supporter, what’s the state that might get you excited to see something’s shifting? KK: I would say the same states for both campaigns. But I think that Ohio and Florida probably aren’t going to decide the election this time. I think those are states that are necessary for Trump but not for Clinton. I think that Pennsylvania, Virginia, Colorado, Michigan, Wisconsin, New Hampshire – if any one of those look like toss-ups, the election itself may be a tossup. The wildcard could be North Carolina because Clinton could afford to lose one of those states I mentioned if she carries North Carolina. And I think she has a small lead in North Carolina, but again the early vote there is kind of deceptive. It’s unclear because black turnout seems to be down but there are indications Clinton is outperforming in the suburbs. IBT: Looking forward to election night, when you’re watching the results come in, what’s the state that you’re going to be watching that is indicative of how the race is going to go? KK: I would say North Carolina and Pennsylvania first stand out as two pretty important ones. Those polls close a little bit earlier. Another one is Ohio. If Clinton wins Ohio the election is over. IBT: If Clinton wins North Carolina, does that mean the election is over as well? KK: If Clinton wins North Carolina, yeah. In all likelihood if Clinton wins North Carolina, Florida or Ohio, she’s going to win. Likewise, if Trump wins Pennsylvania, I think he’s probably going to win. And Clinton’s lead in Pennsylvania is significant, while Ohio, North Carolina and Florida all seem pretty close.